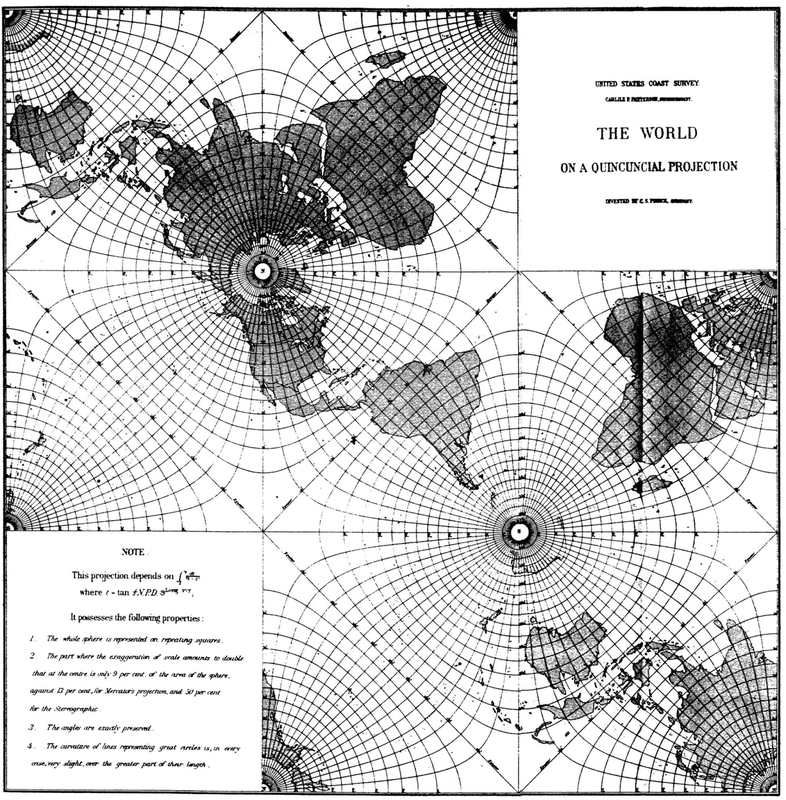 The Quincuncial projection of the sphere is a way of projecting what is on the surface of a sphere (like the surface of the Earth) onto a square, or more accurately onto a tessellation of squares. 1. The whole sphere is presented on repeating squares. 2. The part where the exaggeration of scale amounts to double that at the centre is only 9% of the area of the sphere, against 13% for Mercator's projection and 50% for the stereographic. 3. The angles are exactly preserved. 4. The curvature of lines representing great circles is, in every case, very slight, over the greater part of their length. In addition it can be tessellated in all directions.